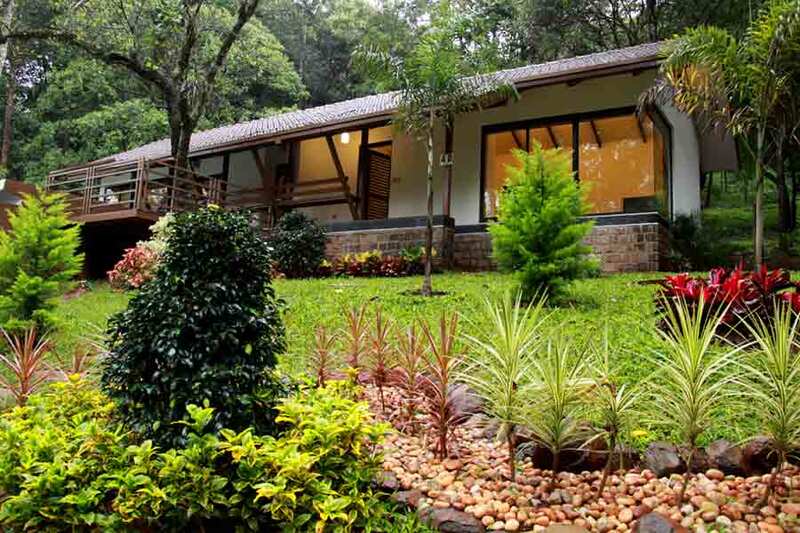 Use the form below to inquire about Upscale Nature Resort at Madikeri in Coorg . How much is 14 + 11? Use the form below to reserve for Upscale Nature Resort at Madikeri in Coorg . How much is 18 + 4? The Cottage has wooden flooring, a king size bed, and a private sit out. The Cottage has wooden flooring, a king size bed, a separate area with sofas and a private sit out. The Cottage has wooden flooring, a king size bed in one room, and two single beds in the other bedroom. 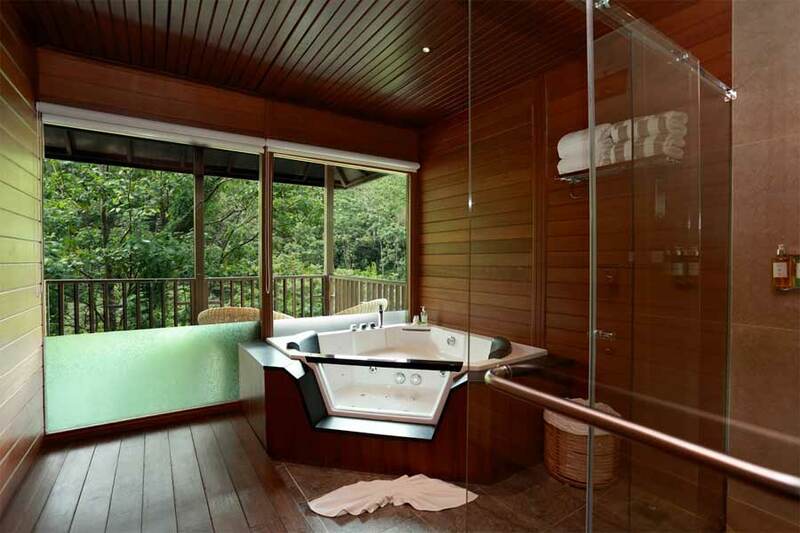 This Upscale Nature Resort at Madikeri in Coorg is rated as one of the best luxury Resorts for all the right reasons. 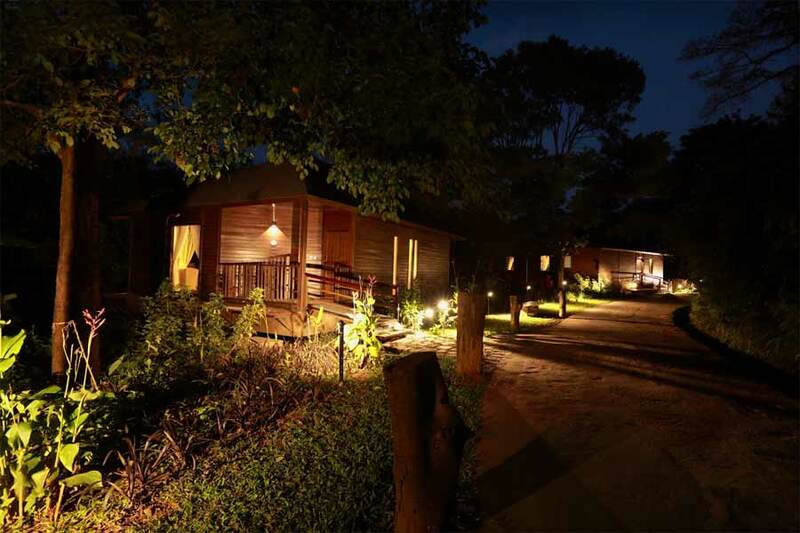 From its location in the Coorgi woodlands to the accommodation that spells luxury, the resort is a perfect holiday abode for both honeymooners and families. The resort blends its living spaces seamlessly with nature while making its guests forget all about deadlines and the bustle of the city. The sprawling resort comprises 22 villas, each with a private pool, 10 wooden cottages, premium suites, and private residences. The architecture of the accommodation at the resort maintains a delicate balance with its natural surroundings without compromising on luxury and modern comforts. The eco-luxe pool villas, called Kopi Luwak, boast of beautiful interiors and are equipped with a Jacuzzi and a private plunge pool. The traditional tilted tiled roofs add to their aesthetic appeal. 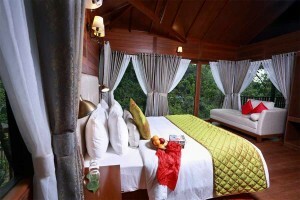 The resort’s wooden cottages are called Arnetta Cottages and are classified as luxury, premium, and family. While enjoying some of the fine luxuries of these cottages, a sit-out with stunning views and a cozy bed, the chances of spotting some of the rare species of birds of the region are as high as losing the track of time. When you want to take a break from pampering your soul and want to tantalize your taste buds instead, head to any of the three in-house restaurants. 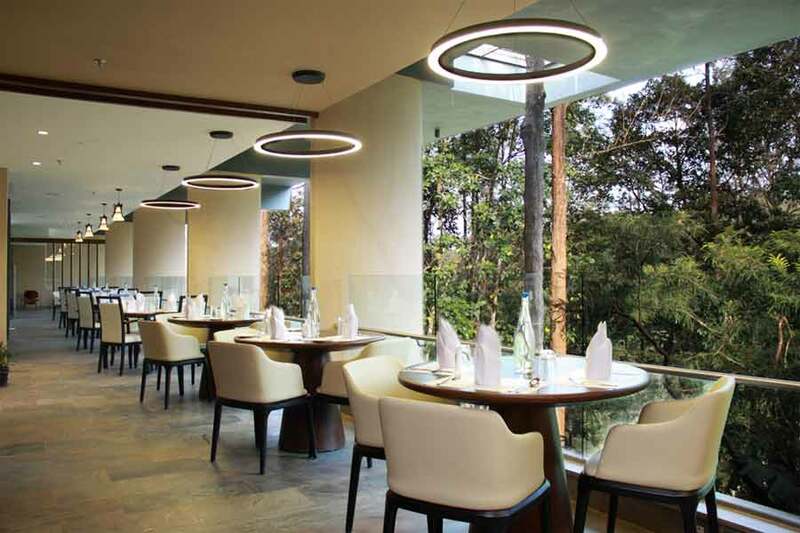 The Fig is the resort’s multi-cuisine restaurant that serves the best of everything regional and continental. For pure vegetarians, Baalelle dishes out a culinary extravaganza, made with vegetables plucked from the resort’s gardens or sourced from local farms. 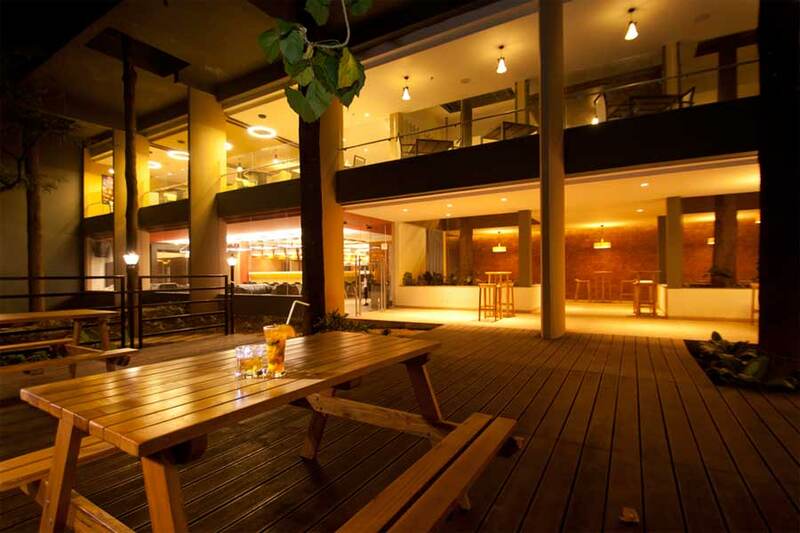 Barbecue lovers can find gastronomic solace at Masi Kande – The BBQ Place. The barbecue restaurant serves an array of meats, seafood, grills, and kebabs cooked in a native style. Spa voucher for two people once during the stay for 20 minutes of head and shoulder massage applicable for two nights stay. Complimentary laundry service (two pieces per person) for the first night. Kids below 6 years will be complimentary sharing the parents’ bed. The check-in time is 1 PM and the check-out time is 11 AM. Early check-in or late check-out is subject to availability. If you check in early or check out later than your booked period, you will be charged based on the duration of stay. Room booking is confirmed subject to guarantee either by credit card or by the company in writing. Non-guaranteed reservations are released by 18:00 hrs. Guests should carry their photo identification documents, passport/PAN card/driver’s license, to be shown during check-in. Passport is mandatory for foreign nationals. Children below 10 years and extra adults are not allowed in any of the wooden cottages. 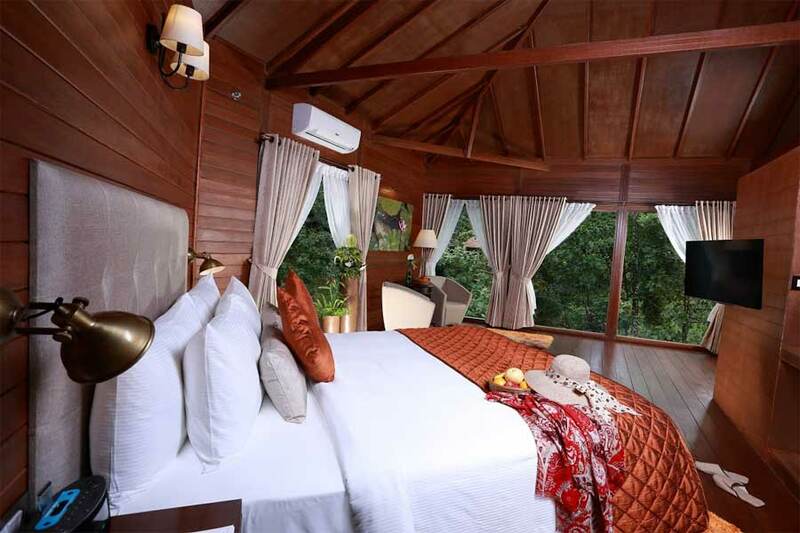 Only couples can stay at the Arnetta Luxury and Arnetta Premium wooden cottages. In Family Wooden Cottages, a couple and grown-up children above 10 years are allowed. An extra bed is compulsory for any person 18 years and above sharing the room. Children, 6 years and below, sharing parents’ bed is considered FOC with breakfast. Only one child between 7 to 17 years is allowed without an extra bed. If you cancel or amend the booking up to 30 days before the check-in date, a cancellation charge amounting to 10% of the total booking amount will be levied. Those who cancel or amend their booking between 30 days and 15 days prior to the date of check-in will attract a cancellation charge of 50% of the total booking amount. If you cancel or amend the booking less than 15 days prior to your date of check-in, 100% of the total booking amount will be levied as cancellation charges. Upscale Nature Resort believes in responsible tourism and practices it by letting its guests indulge in responsible fishing and nature walks without disturbing the sanctity of the nature that cradles the resort. The experience of sitting by the side of the freshwater lake on the property is quite unlike any other and something that many city-dwelling folks will enjoy to the core. See the excitement build when your fishing line goes taut and culminates at the feeling of doing something good when you allow the fish its freedom. 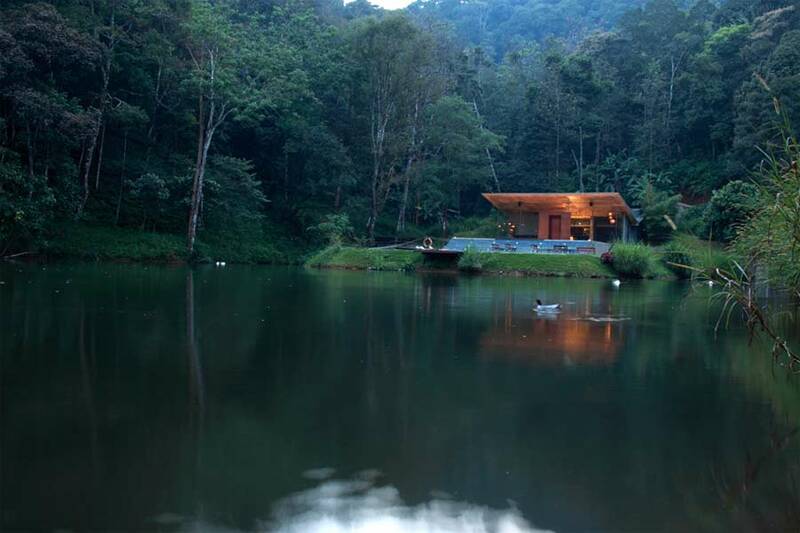 The resort arranges guided nature walks around the idyllic landscape of the wooded forest and former coffee plantation on which it is located. The pleasant cacophony of the woods, the songs of beautiful birds, the familiar monkey chatter, and the stories of how life goes about in the evergreen woods will make you feel one with nature. Listen carefully while the in-house naturalist acquaints you with the stories of the vagaries of nature. 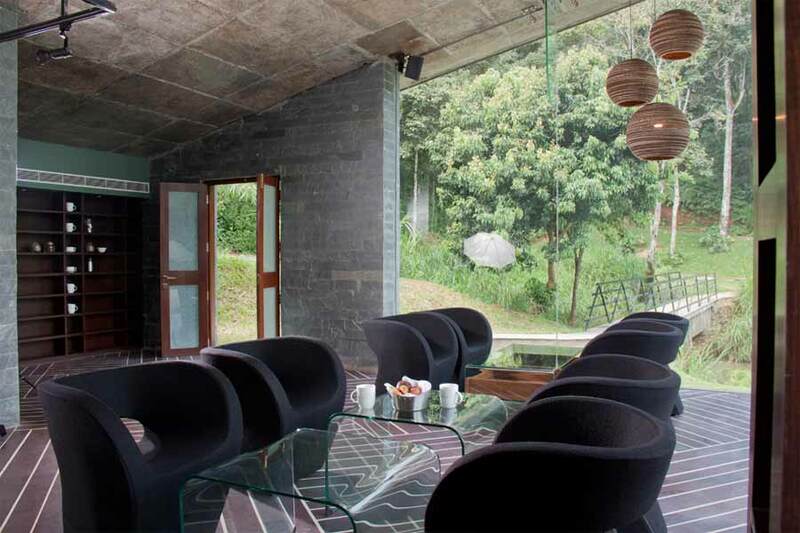 Sip a hot cuppa at the resort’s scenic coffee shop and go on a coffee escapade later. Take a walk is the sprawling plantation to learn all about the humble beginnings of the aromatic beverage. While you are at it, you might stumble into the picturesque corner library where you can rest your feet and cozy up with a book in one hand and a cup of coffee in the other. 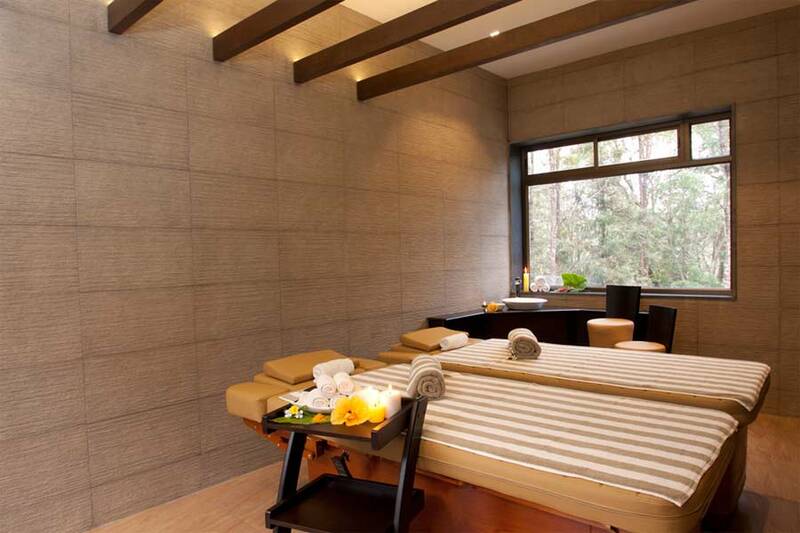 The ideal place to rejuvenate your entire body and soul is at Manja – The Spa. Choose from a wide range of treatments first and then surrender to the magic. 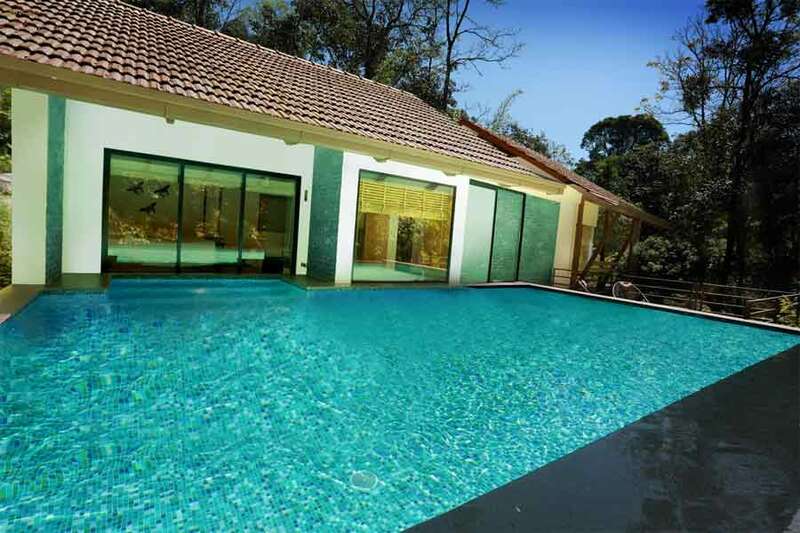 Upscale Nature Resort is easily accessible from Bengaluru airport, Mysuru railway station, and everywhere in between. 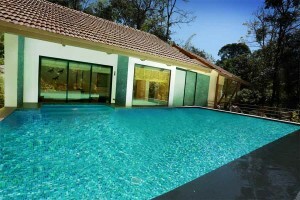 From the Bengaluru airport, the resort is 5.5 hours away by road. From the railway station in Mysuru, it takes a 2.5-hour drive to reach the luxury resort. Optional : Room Preferences, Flight Number, Flight Timing, Airport Name etc..
How much is 6 + 16? © 2019 SelfRoadiez Travel Solutions Pvt Ltd. All rights reserved. How much is 7 + 15?